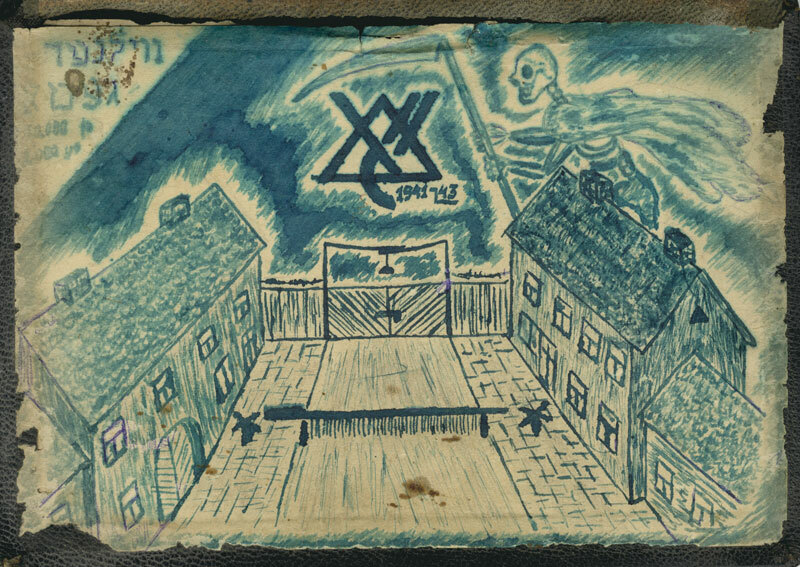 Aktions began in both Vilna ghettos in September 1941. On the 21st of October Ghetto II was liquidated and thousands were murdered in Ghetto I before the end of the month. 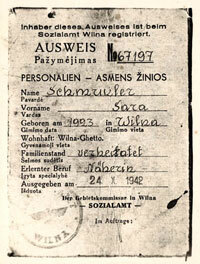 On the 15th of September 1941 the Ghetto Police announced that anyone in the ghetto who did not have a schein (work certificate) in Ghetto I should move to Ghetto II that very evening. About 3,000 people presented themselves at the gate. Only 600 were resettled to Ghetto II. The others were taken to the Lukiszki prison and to Ponary and were murdered. 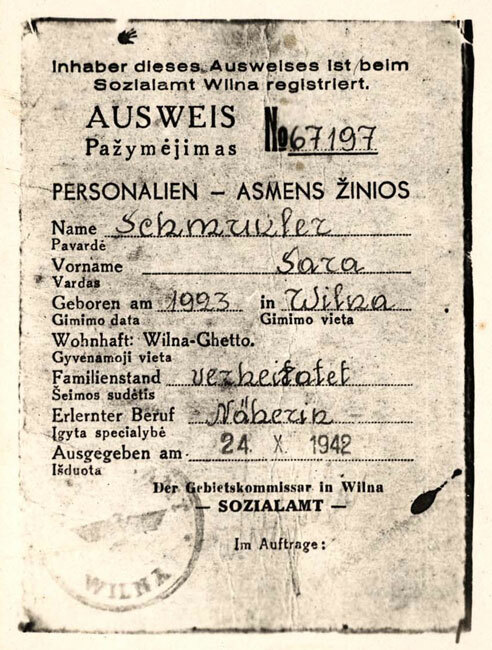 Even following this aktion, elderly and sick were resettled from Ghetto I to Ghetto II and simultaneously, schein holders were resettled from Ghetto II to Ghetto I. On Yom Kippur (the Day of Atonement), 1st October 1941, aktions took place in both ghettos. At noon, when the synagogues were full, Germans and Lithuanians under the command of the SS Officer Schweinberger entered Ghetto II, rounded up approximately 1,700 Jews and deported them to Lukiszki. In the afternoon Schweinberger turned to the Judenrat of Ghetto I and demanded 1,000 Jews by 7:30 that evening. When the Jews were not delivered to them, the Germans and Lithuanians entered the ghetto and began taking people from their homes. Schein holders and their families presented themselves at the gate with a sense that they were protected from deportation. The majority of those who did not have scheins hid. 2,200 people presented themselves at the gate and were taken to Lukiszki, among them schein holders. According to various sources up to 800 people were freed from Lukiszki by the German units and institutions that employed them. There were also Jews who were freed in exchange for bribes paid to the Germans and Lithuanians. 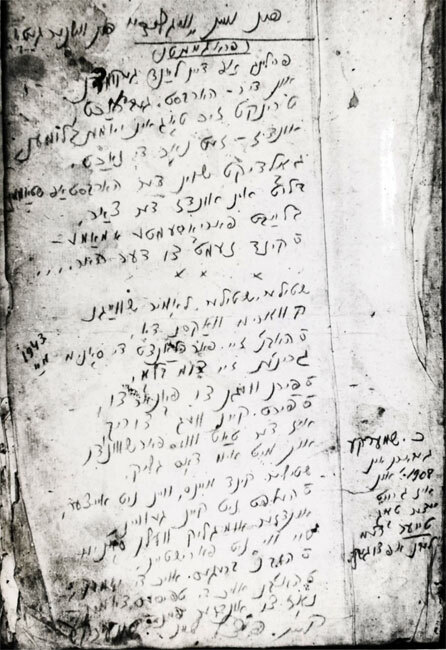 The Yom Kippur Aktion increased the fear and uncertainty in the ghetto. It became clear that the "golden" schein did not buy safety for its holder. In October 1941 three aktions were carried out in Ghetto II. During the first aktion the Jews were told that they were being taken to a third ghetto where there was a shortage of workers. When people saw that they were being taken in the direction of Lukiszki they lay down in the street and refused to move. "On the way to the prison Moshe Frumkin, a youth of 18, called to the people that were being transported with him, "Don't let them take you! Escape into the streets!" there was chaos; women lay down in the road, the elderly stood petrified and the youngsters fled. Schweinberger gave the order to shoot. Dozens of people were killed and those who remained alive were forced to carry them. Even so, many escaped." The second aktion took place on Shmini Atseret and Simchat Torah (the last two days of the holiday of Succot). Despite the previous aktion and the fact that the elderly and sick had been transferred from Ghetto I to Ghetto II, there was still no sense among the Jews that the end of the ghetto was near. People still left the ghetto to go to work everyday. According to Jewish sources about 3,000 people were taken from the ghetto to Ponary in this aktion. 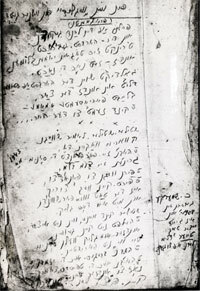 In the third aktion, on the 21st of October, about 2,500 Jews were deported to Ponary and murdered. Thus Ghetto II was liquidated.